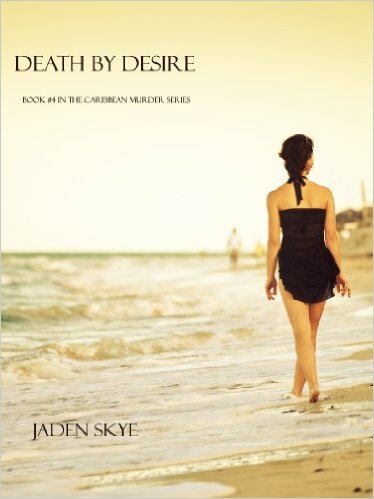 DEATH BY DESIRE is Book #4 in the #1 Bestselling Caribbean Murder series, following the FREE book DEATH BY HONEYMOON (#1), DEATH BY DIVORCE (#2) and DEATH BY MARRIAGE (#3). In the midst of gorgeous St. Bart’s, a few days before Christmas, a Senator’s daughter is found stabbed and strangled on the beach—the day after her engagement party. While the rich and famous are pouring in to celebrate the holidays, the local police are desperate to keep it quiet and not cause an uproar. But the Senator’s family wants justice for their daughter, and they hire Cindy and Mattheus to solve the crime. As Cindy and Mattheus investigate, they meet the elite crowd surrounding the Senator’s family, an exclusive world of unimaginable wealth, of luxurious parties on yachts and private villas. They learn of all the people who may have wanted the young woman dead, all the jealousies and rivalries, the secret ex-es and affairs. They meet her devastated fiancé, her twin sister and her distraught Mom—all intent on the killer’s being found. They meet the corrupt police force, who wants them stopped, and a rich Russian mogul who controls half the island—and has his own agenda to bring down the senator. As they delve deeper, they learn the many secrets of this exclusive family and the young woman, and discover that all was not as perfect as it appeared to be. As they get close to the answers, Cindy faces personal danger, while at the same time her relationship with Mattheus grows deeper—and faces a crisis of its own. And as the two of them are about to leave the island, a sudden twist in events changes everything. Ultimately, they come to learn that on the pristine, perfect St. Bart's, everything is not always as it seems to be.